Archive by Alexa Chung for Marks & Spencer was launched this week. It might just be my Instagram feed, but it feels like everyone has been obsessing over this. Especially the Harry blouse. It got me thinking about trade marks and brand collaborations generally. They’re great, they’re mutually beneficial, and they’re not exclusive to big names and high street retailers. The lovely Anna from Little Flea looking fabulous in the Harry blouse. The key thing with making a brand collaboration work is to make sure that everyone is clear about who owns what and what the collaboration is going to look like. Alexa Chung has a European-wide trade mark registration for ALEXA CHUNG, it covers clothing goods amongst other things. Marks & Spencer own various trade mark registrations for Marks & Spencer and M&S also covering clothing amongst other things. Both sides own their own “names”. Put them together and agree who owns what and you have a brand collaboration in the making. Commercially I imagine there were some meetings, probably several. They all probably chatted about their vision, how many pieces there would be in the collection, the retail price point, how they wanted the PR to be handled, who was going to be invited to the launch party, etc etc. Somewhere in amongst those meetings, there will have been an agreement covering the use of the trade marks. Alexa Chung will have licensed M&S to use her registered trade mark on this range, it will have included requirements about how it is used, the quality of the products (after all, if you buy a dodgy blouse it’s her name and reputation that’s linked to it as much as M&S) and how the agreement will come to an end. It will also cover things like whether this agreement is exclusive or not – are M&S the only people that will have an Alexa Chung clothing line this year? If you’ve got a brand and you want to increase your profile, and maybe launch a collaboration with another company, you’ll also want to think about some of these things. One of the starting points will be whether you have rights in the brand that you’re licensing out. 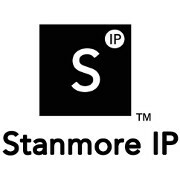 Feel free to get in touch if you want to have a chat about how Stanmore IP can help you with that. This entry was posted in In the news and tagged Alexa Chung, brand collaboration, Harry blouse, Marks & Spencer, trade marks on 17th April 2016 by forestboy5.